The Italian endured his worst 90 minutes in charge of Chelsea as his side were taken apart 6-0 by a rampant Manchester City. And when the final whistle blew as Guardiola walked over to shake hands with Sarri, the under-fire boss walked straight past the Spaniard down the tunnel and into the away dressing room to wait for his players. 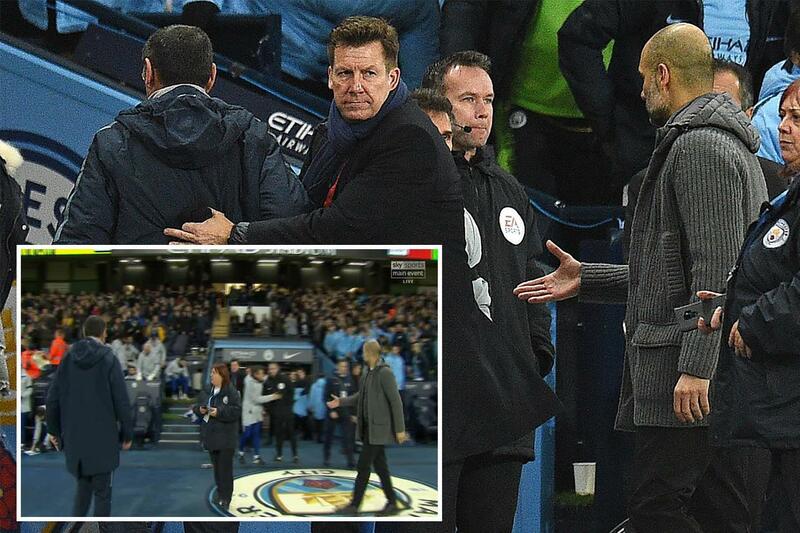 Instead, Pep shook hands with Blues assistant boss Gianfranco Zola who himself looked surprised at the snub. Guardiola explained after the game his opposite number bizarrely did not see him. He said: “I spoke with Gianfranco Zola. He didn't see me. Chelsea were dead and buried conceding three goals inside 20 minutes. Raheem Sterling opened the scoring after three minutes, then Sergio Aguero bagged a quick-fire double to pile on the misery for the visitors. Ilkay Gundogan made it four on 25 minutes and Aguero got back-to-back Etihad hat-tricks when he scored from the penalty spot after Cesar Azpilicueta brought down Sterling. Sterling got his second and City’s sixth late on to make it a miserable day in Manchester for Sarri who is now under huge pressure to make the top four and keep his job.